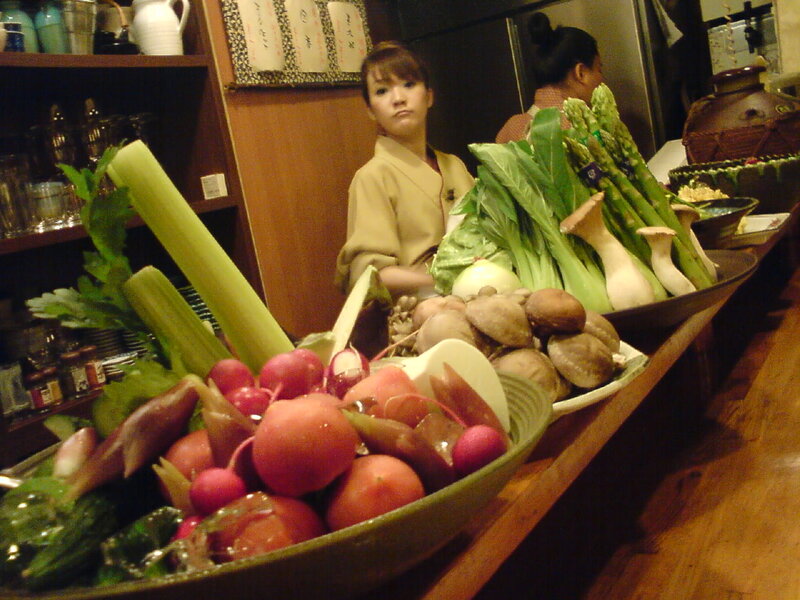 Specialty: Vegan and vegetarian Cuisine, Izakaya gastronomy, local products, oden. The summer has come to Shizuoka with a vengeance after an unseasonably cool period. One has problems making and devising food and meals for such a period. It is when you have to think of a higher fluid/water and vitamin intake to complement your “usual” diet/eating prctices. This is when fresh vegetables are vital! 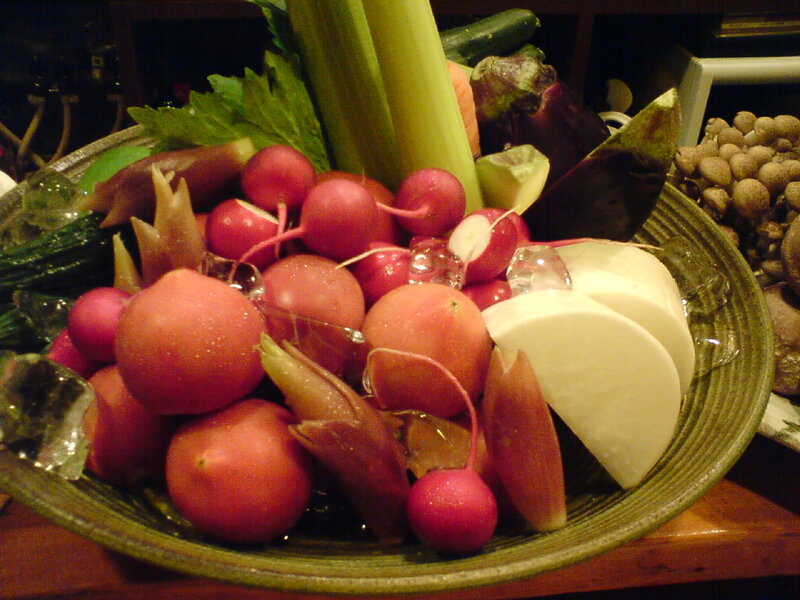 Luckily enough, Shizuoka Prefecture is the most blessed region in Japan when it comes to varieties and quality. 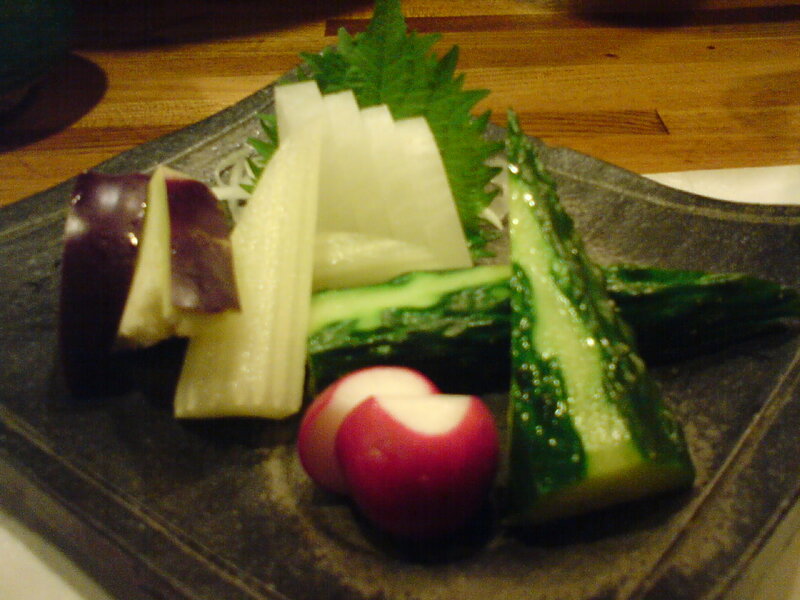 Just go arond the innumerable small markets in town and suburbs and you will rediscover the riot of colours at Yasaitei, which almost exclusively serve local produce! 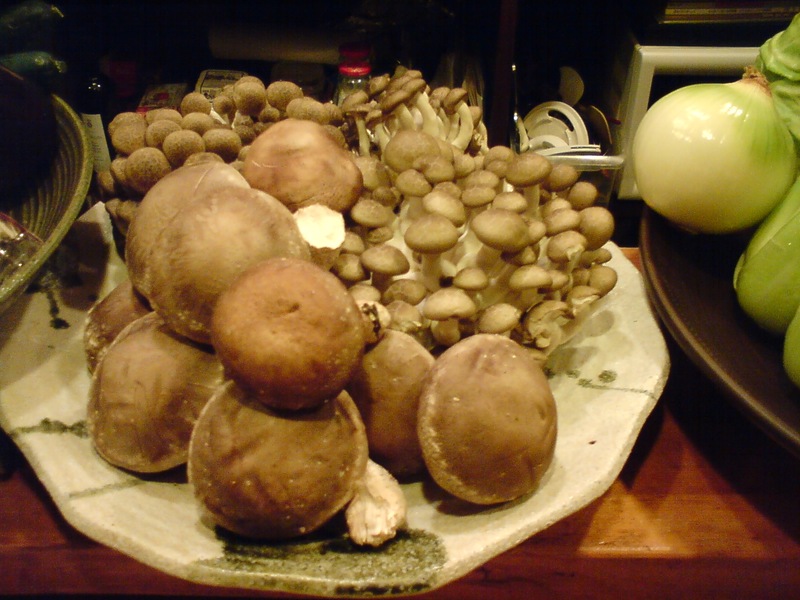 Do not forget that mushrooms can play a vital role in your diet! 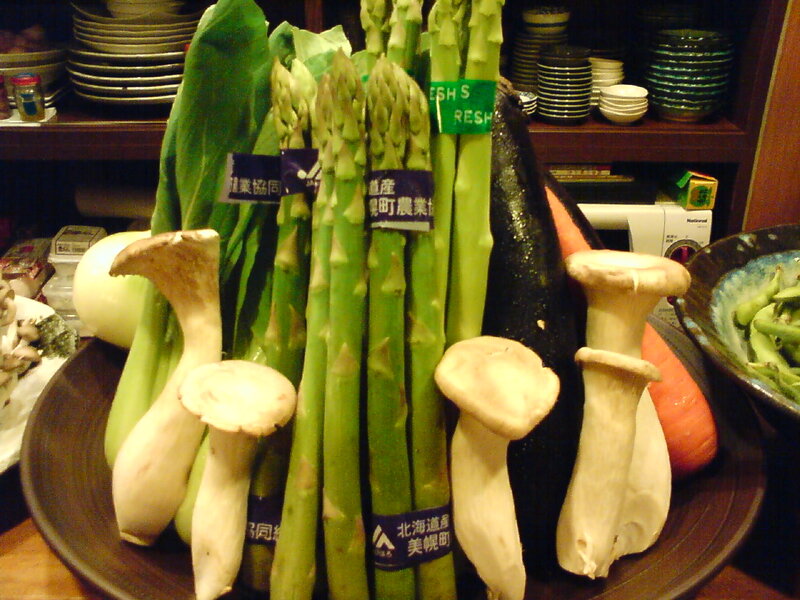 One knows very quickly where all these beauties come from: Green asparaguses from Hokkaido! I had a long day both indoors and outdoors yesterday, and I was literally dehydrated when I entered my favourite izakaya. 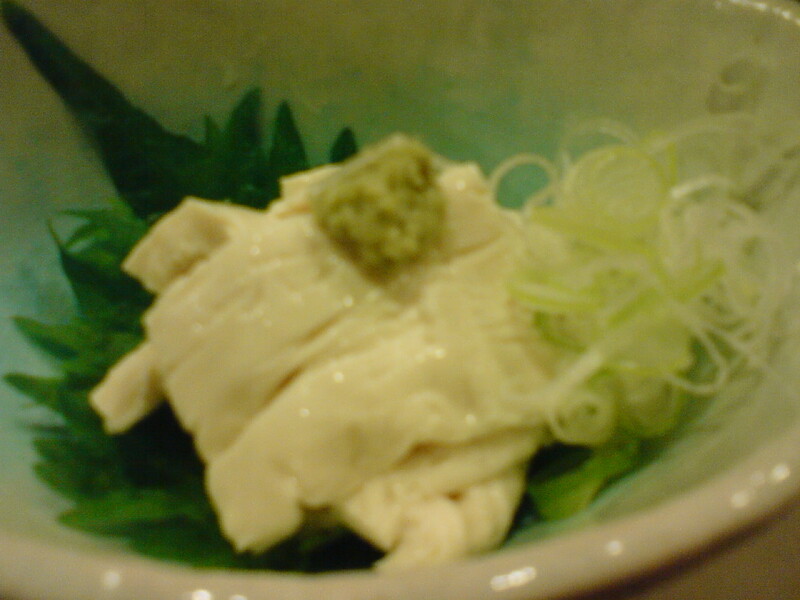 The fresh colours of yuba/tofu sheets served with grated Shizuoka wasabi and thinly shredded leek were a balm on my eyes and body. 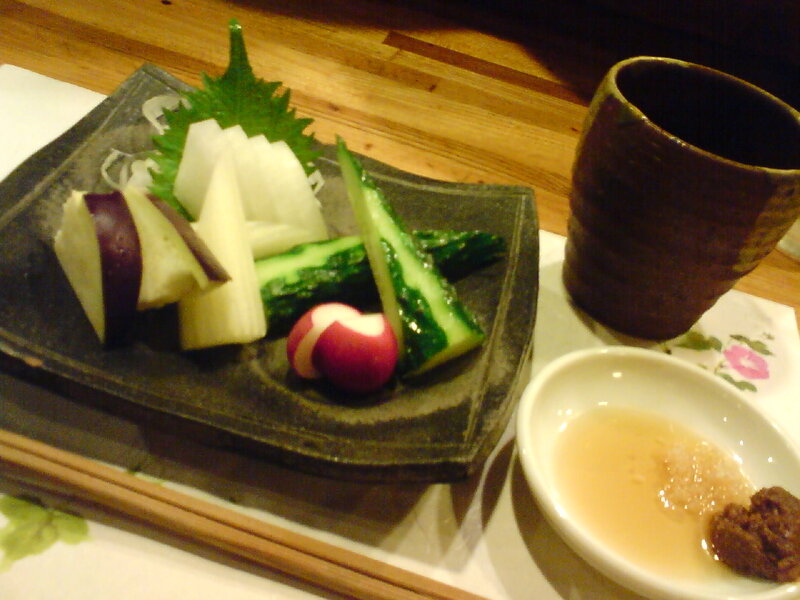 With a glass of Doman rice shochu from Tenjigura-Hamamatsu Brewery, I could patiently wait for my vegetable sashimi order! Just a little soy sauce with it, nothing else! A side view of the picture at the top of this posting. 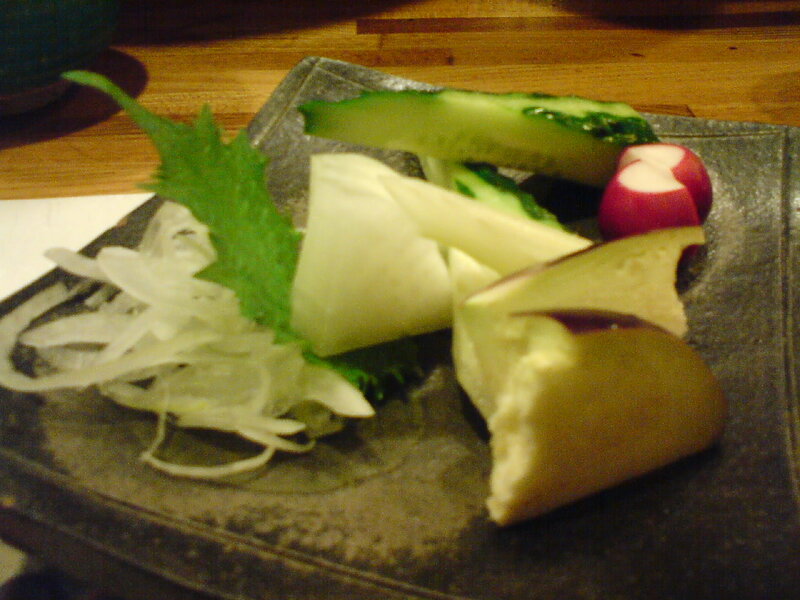 A slanted view to show the mizu nasu/water egg plant, a Japanese variety that is best eaten raw, cruchy celery, crunchy (and so juicy) daikon on shiso, perilla leaf atop chopped onions, crunchy and juicy (again) cucumber and small radish! 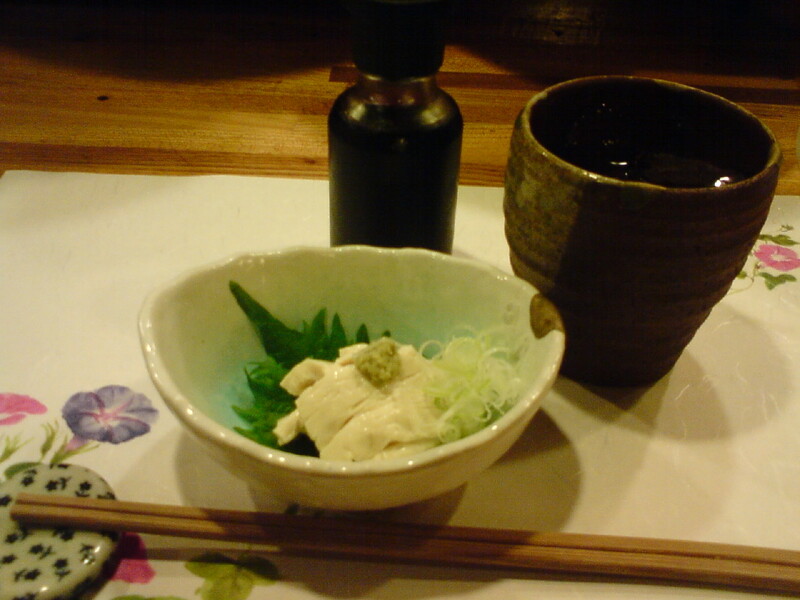 The dressing/dip consisted as usual of fine salt, miso paste and sesame oil! 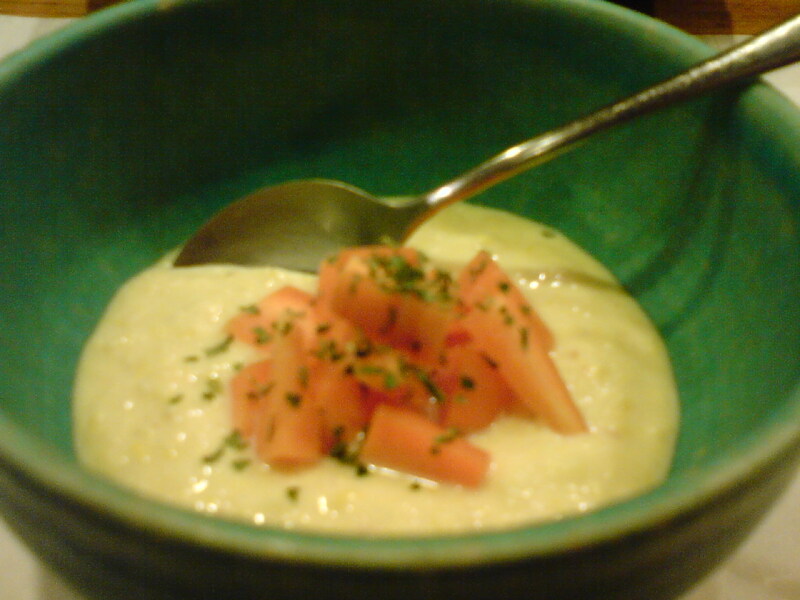 I finish my quick snack/meal with a corn cream and fresh carrot combination. Does not qualify as vegan, but certainly does as vegetarian!